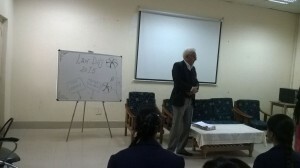 Legal Literacy Programme was organized on 26th Nov 2015. 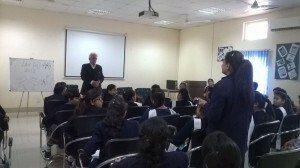 Mr. Ravi Kazi, Advocate in New Delhi, for legal literacy programme. 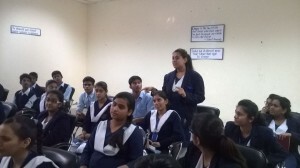 Invited to address the students Mrs. Deepanka Arora (PGT Biology), Mrs. Kusum Sharma (PGT Geography), Mrs. Aradhana Dewan (PGT Pol. Sci. 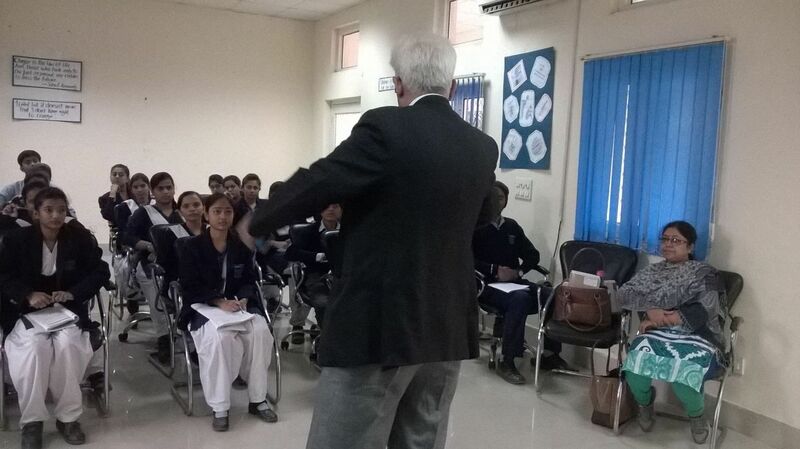 ), Mrs. Pramod Kunwar (TGT Social Science), Mrs. Anshupriya (TGT Social Science) and 30 students from IX, X and XI class have attended the programme. (B) The Information Technology Act 2000.
i. Tampering with any computer, computer programme, computer system or computer programmer, computer system or computer network. iv. Publication for Fraudulent purpose. 1. What could be the reason why a normal educated person changes into a criminal? 2. ‘We know that tobacco and cigarette smoking is harmful for our health.’ In spite of that why it has not been banned? Mr. Ravi cleared all the doubts of the students and then distributed questionnaire related to legal awareness to the group of students. Groups have filled the questionnaire form and returned it to Mr. Ravi. It was beneficial for teachers as well as the students. 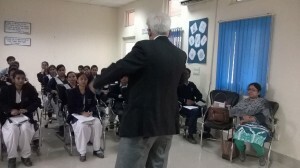 It was a good and exiting experience for students.